If implemented, the order could affect a number of sportspersons on government rolls such as Sardar Singh, Vijender Singh, Geeta and Babita Phogat, among others. CHANDIGARH: The Haryana government on Friday put on hold a controversial notification, which directed sportspersons on government rolls to deposit one-third of their earnings from professional events and endorsements with the Haryana Sports Council. 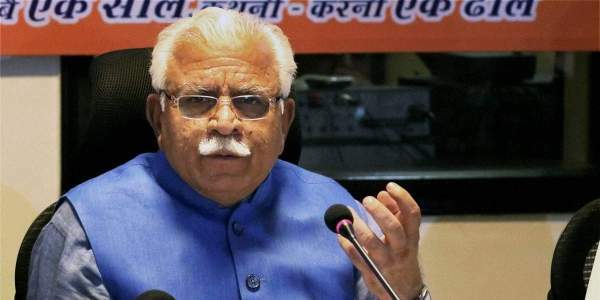 “I have asked for the relevant file of Sports Department to be shown to me & the notification dated April 30th to be put on hold till further orders,” Haryana CM Manohar Lal Khattar tweeted. The notification, issued by Principal Secretary of the Sports and Youths Welfare Department Ashok Khemka, said the amount collected would be used sports development in the state. Sports and Youth Welfare Minister Anil Vij justified the circular. “The rules say that if a government employee generates any income, one-third of this has to be deposited with the government. This issue emerged when we gave permission to boxer Vijender Kumar to play as professional and the matter went to the Punjab & Haryana High Court. The court asked us to frame rules in this regard,” he said, adding this wouldn’t apply to those playing in Olympics, Asian Games or Commonwealth Games. If implemented, it could affect a number of sportspersons on government rolls such as Sardar Singh, Vijender Singh, Geeta and Babita Phogat, among others. As the circular came to light on Friday, athletes including those not employed by the State government, reacted with shock. Wrestler Geeta Phogat, who is a DSP in Haryana Police, said, “I appeal to the government to reconsider its decision.” Echoing similar sentiments, Phogat’s sister Babita lamented the government does not realise how much of hard work a sportsperson puts in to bring medals for the country.